Need to rent a dumpster? Call us today to receive your free quote and schedule your delivery of any size container delivered exactly where you need it. Serving the Denver area, Discount Dumpster offers low flat rates and flexible rental periods that are sure to help get your job done right. Tackle any size project weather it’s a small household cleanup, or a large commercial project, Discount Dumpster is your one stop shop for all your debris disposal needs. Make each project move quicker with an open top dumpster. Roll offs are great to tackle yard clean ups or garage clean outs. Our smallest rent a dumpster is best for minor projects and general junk removal. Short sides allow for easy access and flexible maneuverability. Ideal for all your residential needs. The 12-yard roll off will fit into most driveways and with short side walls debris throw away is simple. Perfect for projects around the home, use this container for smaller roofing projects, moderate home renovations, or smaller landscaping jobs. Good for larger projects around the home, this sized rent a dumpster is common for kitchen and/or bathroom remodels, large-scale roofing jobs, and large landscaping projects. Most often used for full service construction projects, this 6 foot tall rent a dumpster allows for walk in access, and is perfect for tossing out large quantities of debris. 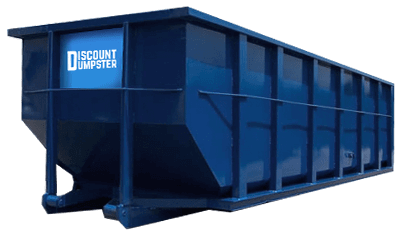 Discount Dumpster makes it affordable for any homeowner or contractor to rent any sized dumpster. Our dumpster services include everything from delivery, to pick up and disposal, and our low flat rates and flexible rental periods make it easy to get the job done on time and on budget. Call today to receive your free quote. 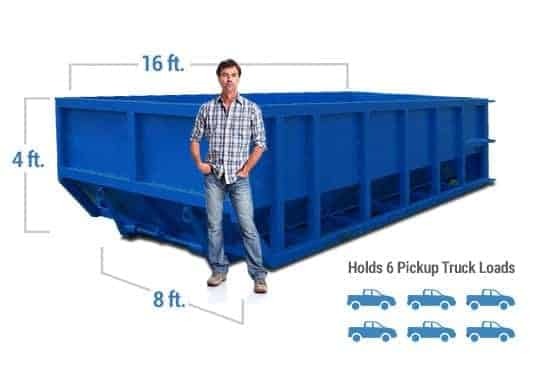 With no shortage of dumpsters or dumpster sizes, we can get you exactly what you need, when you need it. Our friendly customer service representatives are available Monday through Friday and are happy to answer any questions and schedule your dumpster delivery ASAP. We strive to ensure your experience goes smoothly. We are here for you so stop making those extra trips to the dump and call us. 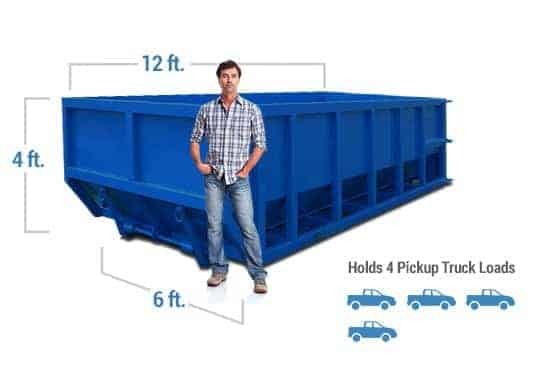 No matter the size job, let Discount Dumpster be your partner in all of your waste management needs. Denver city permits are only required if you are placing the box on the street. Let us know if you want to put it on the road and we will pull the permit for you.